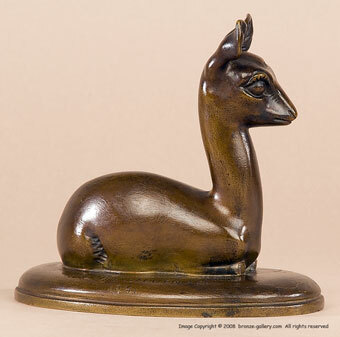 Brenda Putnam sculpted several small animals during her career. 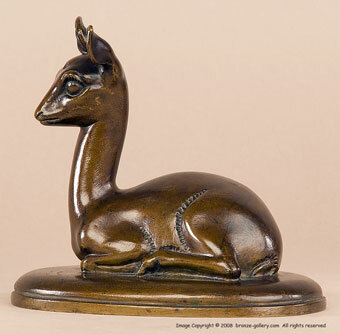 These small bronzes are quite rare and sought after, they are charming little pieces. The Springbok Antelope was a gift by the artist to a young art student in 1941 and it was an inspiration to his work. The young Antelope is resting but alert and looks for danger. 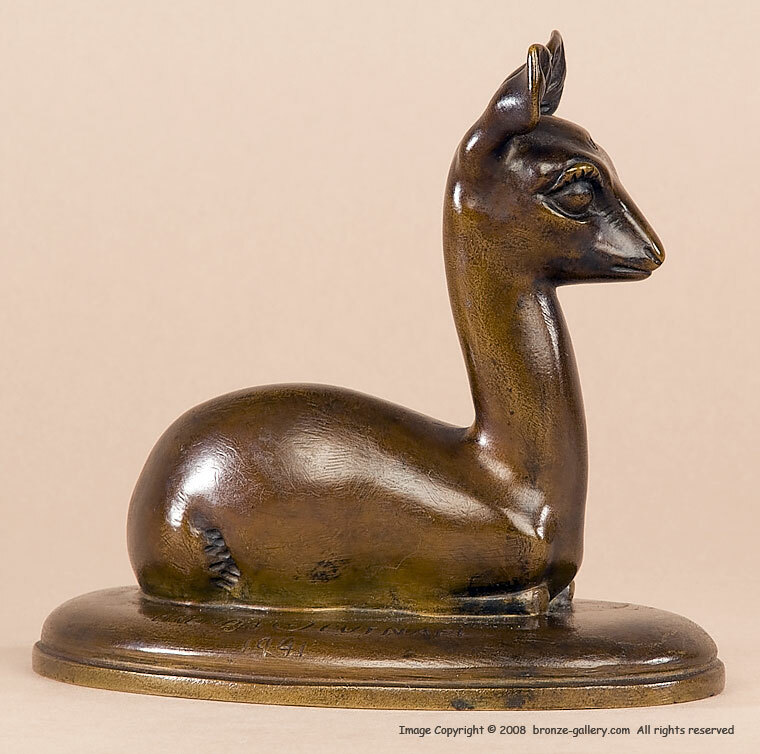 A well done bronze, it has a rich dark brown patina and is signed and dated 1941.